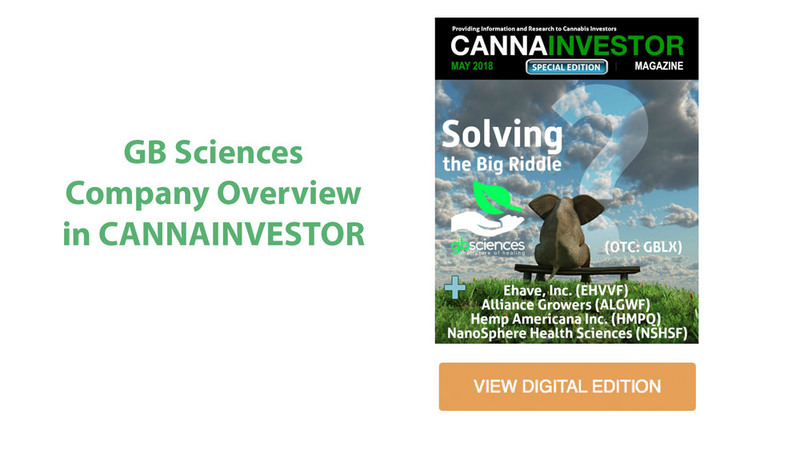 Quality and consistency of raw materials to research, manufacture and deliver trusted medical-cannabis formulations has been the single largest stumbling block for cannabis-based medical formulations to become mainstream. The stage is now set for this to become a reality thanks to four years of intensive research and development by GB Sciences. For large scale adoption of Cannabis in medical formulations the quality, consistency and trust in the raw ingredients is essential in providing a true scientific base line and prove efficacy in the medical world. To date, no one has been able to solve this all-important riddle…Until now. Control of two elements is necessary to produce consistent raw ingredients for medical-cannabis products… the original genetics and the growing environments. Tissue culture propagation supplies the answer to the first part of the riddle and precision controlled growing environments provide the answer to the second part. The GB Sciences facility in Las Vegas is a true showplace for the cannabis industry. Unique and innovative in all aspects of cultivation and production it is now producing some of the most highly sought after adult use products in the Nevada market. Besides being the base platform to prove the theory of a consistent and trusted brand, the revenue has been used to fund the hypothesis that being dedicated to scientific proof pays large dividends in the long run.